hi guys! 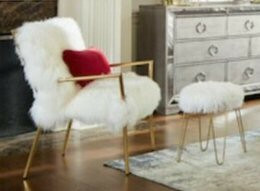 i'm not sure if this has been asked before, but how can i achieve a fur chair like the one in the image. 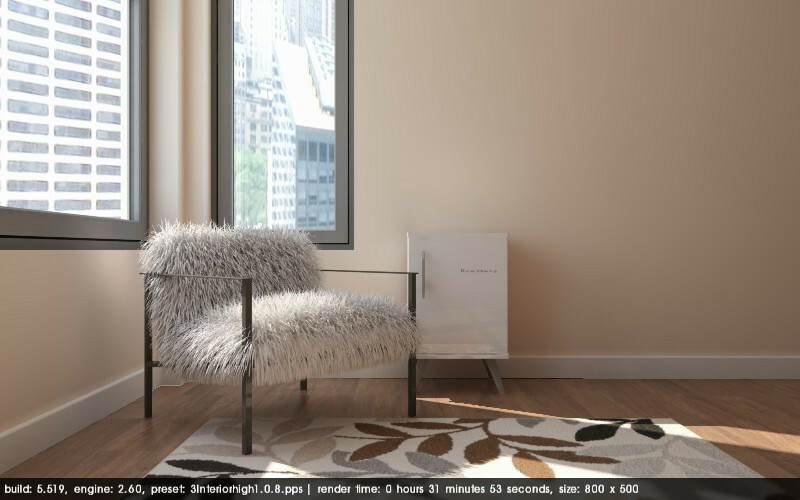 make fur plugin? any help/tutorial will be appreciated. Maybe make fur. Although I have never seen something as dense as this fur chair rendered in Podium. You would also need to use _high preset or QMC to avoid black underneath the fur. been playing with the make fur plugin. do you think this is any good? That's pretty good! It is a great piece of modelling, and it looks great! In terms of comparison with the chair in your initial photo, if you wanted to achieve that effect, I would use a shorter strand, but increase the density. That would make it look more 'fluffy'. If each strand was half as long, in theory you could use twice as many for the same render time.